In a blatant attempt to further restrict patient’s access to reproductive care, Texas’ Senate Bill 25 would allow doctors to withhold information from parents about a fetus’s disability. If passed into law, this would make it impossible for Texans to sue a doctor for intentionally withholding such information. 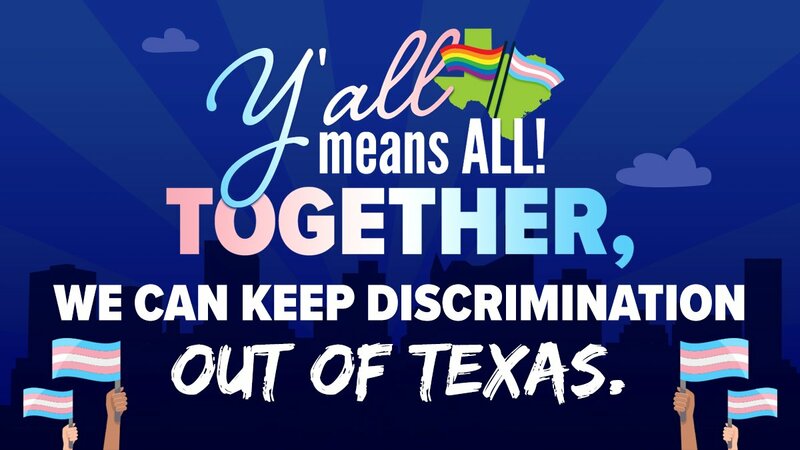 And while it’s meant to create chaos and confusion and drive a rift between disability rights’ advocates and reproductive freedom advocates, guess what Texas? We see right through you. Lead co-sponsor Republican Senator Brandon Creighton claims that the bill protects doctors from “wrongful birth” lawsuits and that it is necessary to protect them from being “liable for a disability in which they did not cause.” Supporters of the bill claim that it would protect doctor’s rights and show respect to disabled children, which are both great goals in theory, of course. But by allowing doctors to withhold vital information about a patient’s pregnancy, the bill restricts a patient’s ability to make informed decisions about their own bodies, and therefore erodes access to abortion care. 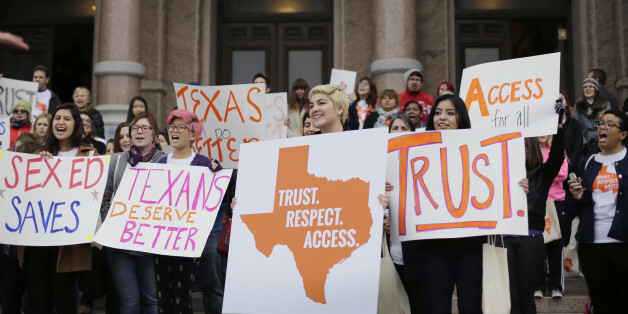 This bill is just another abortion restriction in Texas’s longstanding history of restricting people’s access to reproductive healthcare and services. In 2017 alone, six new abortion restrictions were implemented in Texas, including a parental consent restriction, 24 hour waiting periods and requiring patient’s to undergo an ultrasound before performing an abortion. A similar law was blocked by a federal judge in Indiana last June. At its core, Texas Senate Bill 25 makes the false assumption that pregnant patients will rush to abort if they discover that their fetus will be born with a disability. The thing is, making the choice to parent or not to parent a child is a decision solely for that individual – not their doctor. The claim that patients cannot be trusted to make their own decisions about their body when given vital information about their pregnancy sends a stigmatizing and wrong message that disability equals suffering and that patients can not be trusted to make decisions on their own – when neither of these assumptions are true. And limiting a parent’s right to access the full range of healthcare services does not show respect for children living with a disability – actually expanding support for people with disabilities and providing services to parents does. This issue, however, is further complicated because it’s not just the conservative right who have used disability rights as a political football – the abortion rights movement has done this, too. In the past, abortion rights activists have advocated for the necessity of late term abortions because some prenatal diagnosis occurs after 20 weeks, amplifying the harmful rhetoric that some abortions are “necessary,” as opposed to uplifting the reality that all patients deserve full access to reproductive care – including late term abortion – no matter what. To ensure that all families have the support they need to thrive, our movement needs to continue to uplift the challenges of accessing abortion care and expand patient’s access to reproductive health care. That’s the only way we’re going to be able to create strong movements to fight back attacks on our bodily autonomy like SB25. Image credit: AP Photo/Eric Gay. 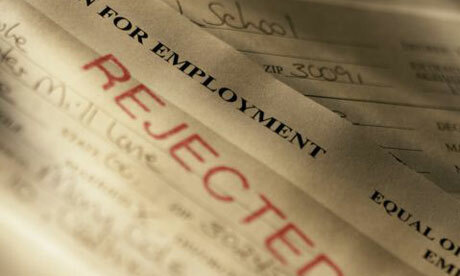 But in June, after requiring Balcom to submit an intrusive “health information form” — which asks for all kinds of personal information about applicants’ doctor’s visits, medications, and mental health history — AmeriCorps abruptly revoked her job offer. The reason? Balcom disclosed that she sought mental health care after a sexual assault.